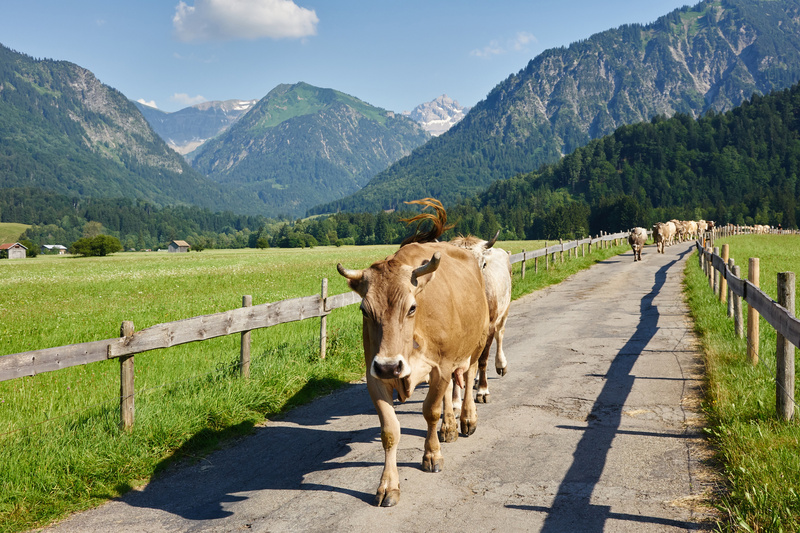 From early May to mid-September, the cows are driven through Oberstdorf’s lanes. After the long winter, the animals are visibly keen to return to the pastures daily again. on the northern and southern edges of the town. The cows belong to several farmers. They know which stall is theirs and can practically find their way back to it on their own. 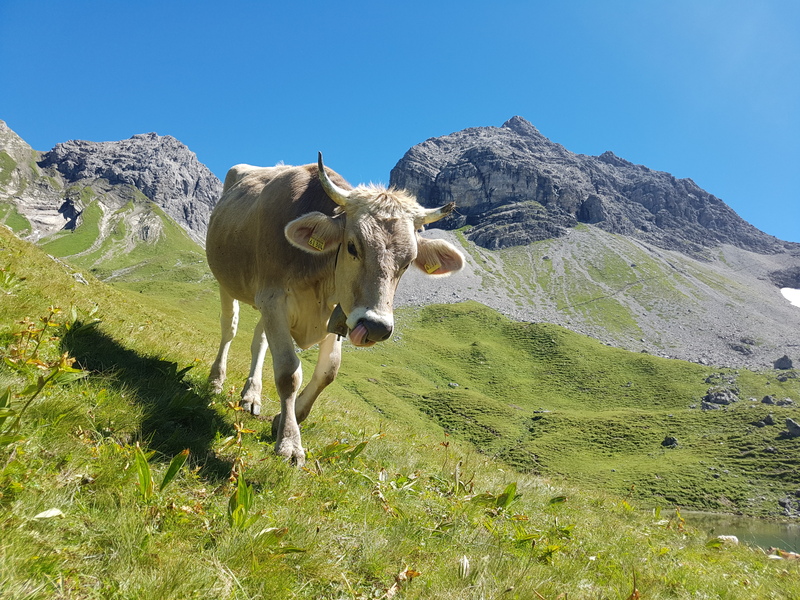 Most of the cows wear small bells (and sometimes large ones) so that they can be easily located on the pastures and meadows even in bad weather. The small bells have a leather strap and no fringe or similar adornments. The larger bells, on the other hand, are fringed and often only used during the traditional “Viehscheid” cattle drive. The bells sound very musical and the animals use them to orientate themselves within the herd. 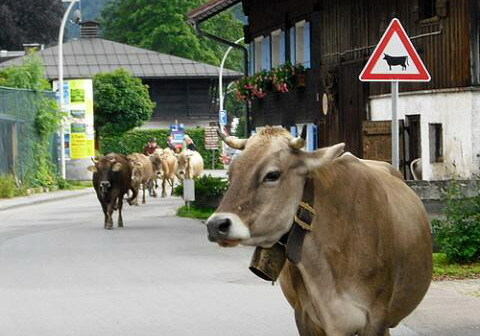 Oberstdorf “lane cows” usually wear the same small bell for life. 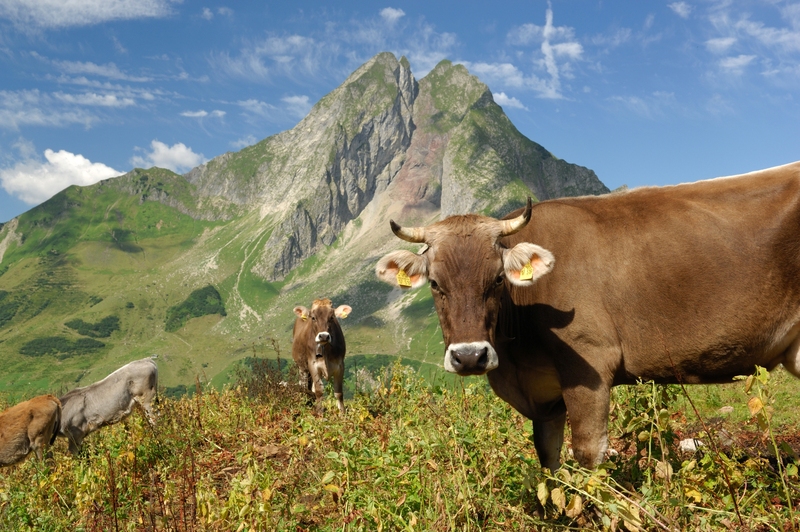 A varied information brochure on agriculture and Alpine business in Oberstdorf is available from the Tourist Information Offices. 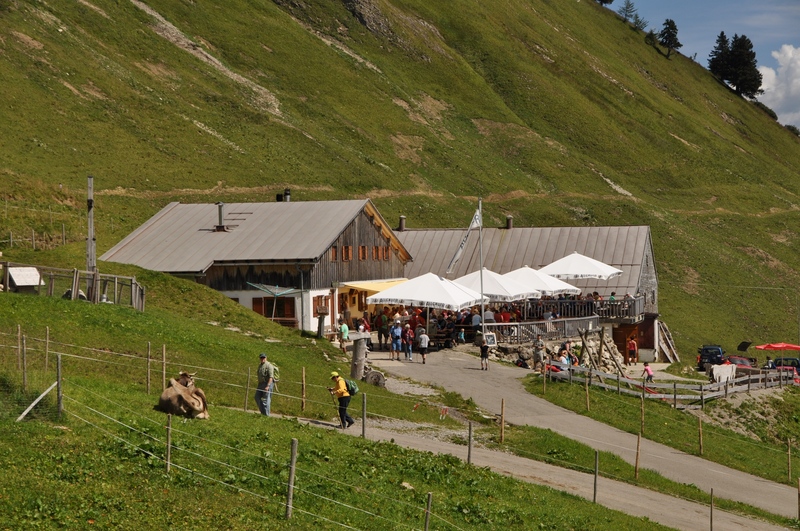 Dairy huts or “Sennalpen” are alpine huts with pastures where dairy cows are reared. These are milked twice a day. 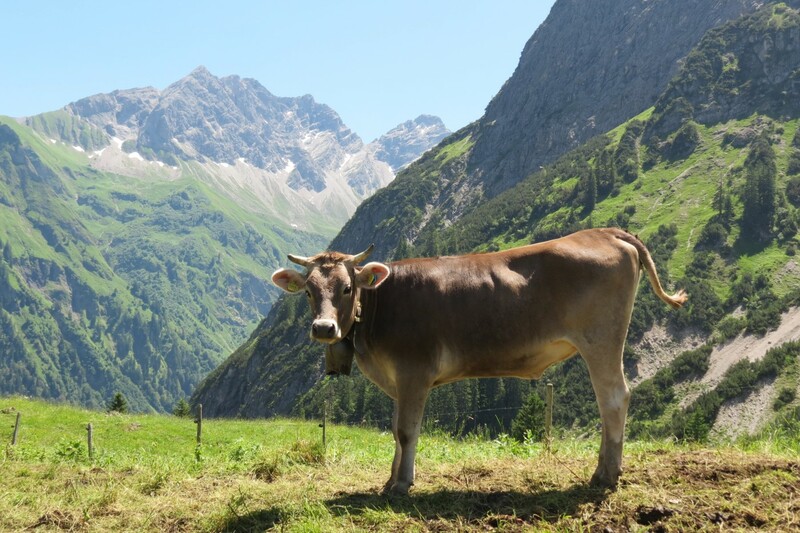 The farmer, who is also a dairyman and therefore a qualified cheesemaker, uses the milk to create our fabulous mountain cheese on site. managed by the farmers’ families. You can try the products directly on site. 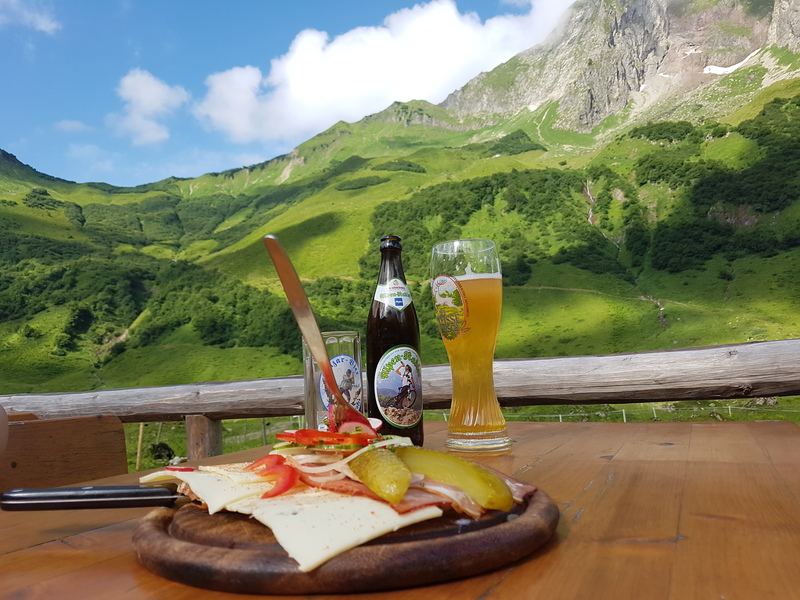 There is nothing better than a hearty snack of bread and cheese washed down with a glass of milk to sate your hunger and thirst when hiking. 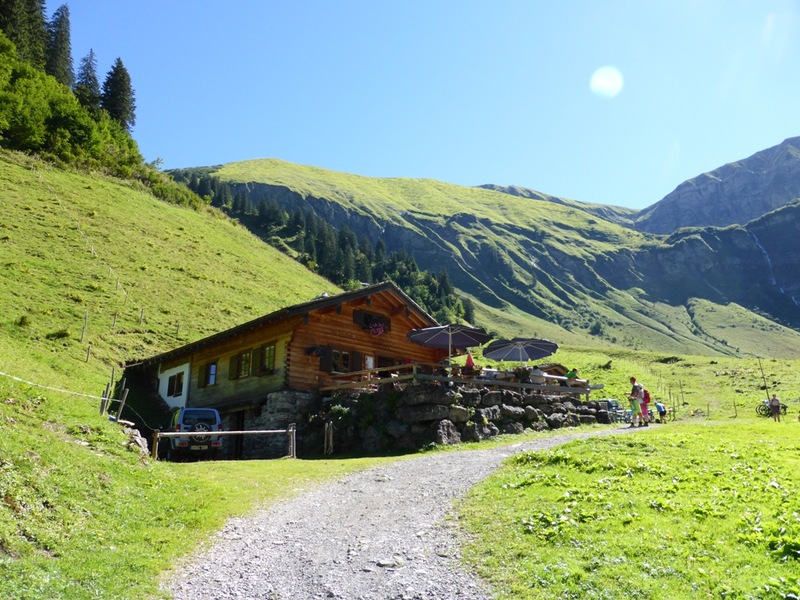 There are also several alpine huts that don’t produce their own dairy products but are still great places to visit. 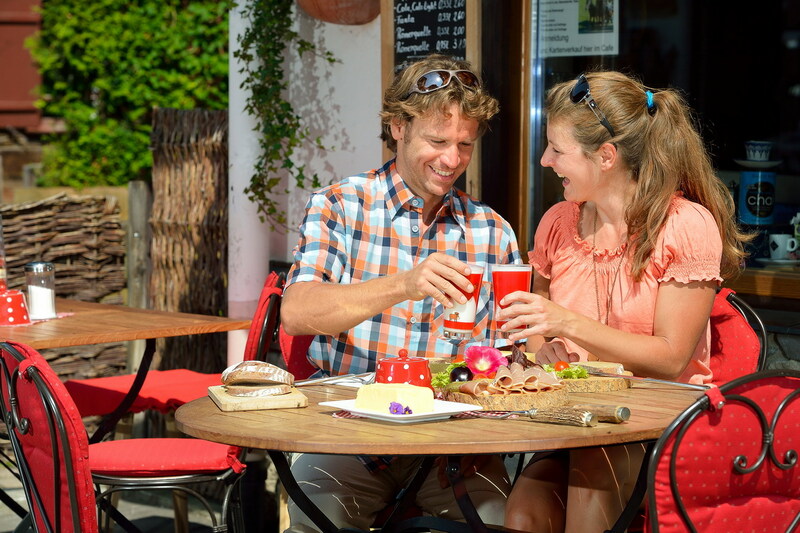 Combined with a hike or a hearty snack made from local products, an unforgettable experience is guaranteed. 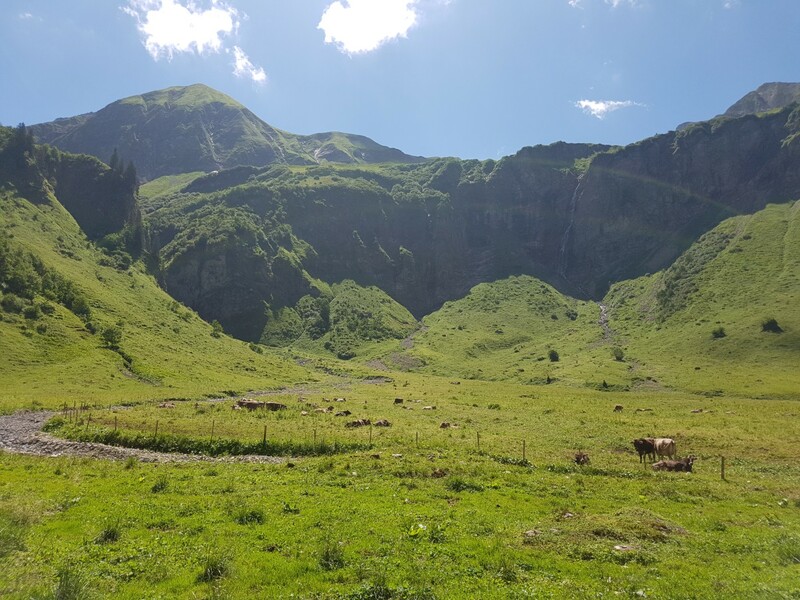 Some 1,400 young cattle spend their summer on the Oberstdorf young stock pastures or “Galtalpen”. Young cows aged between one and three years that do not yet produce milk are also classed as young stock. 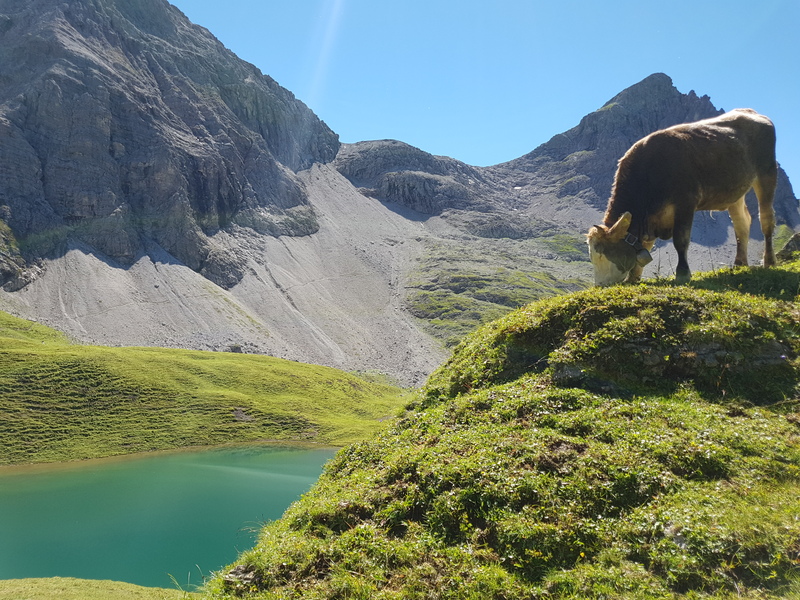 As summer progresses, the farmers drive the young stock ever higher into the mountains, from one “Galtalpe” to the next. 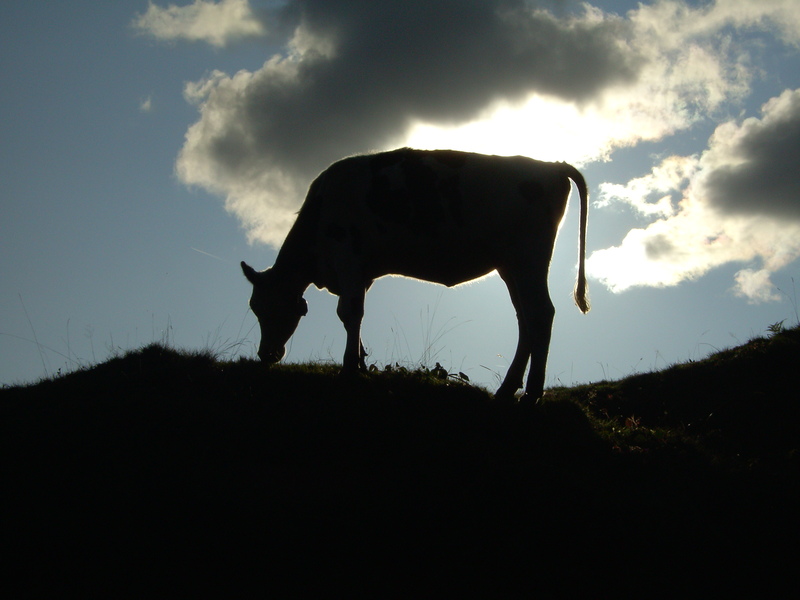 Unlike “Sennalpen” where the cows’ milk is processed on site, the cattle on the young stock pastures are left to their own devices. As such, young stock pastures don't normally have serviced huts. The cows are either looked after all day by smallholder farmers or kept in a large, fenced-off area. This prevents anything from happening to them and keeps them away from crevices or other hazardous areas. 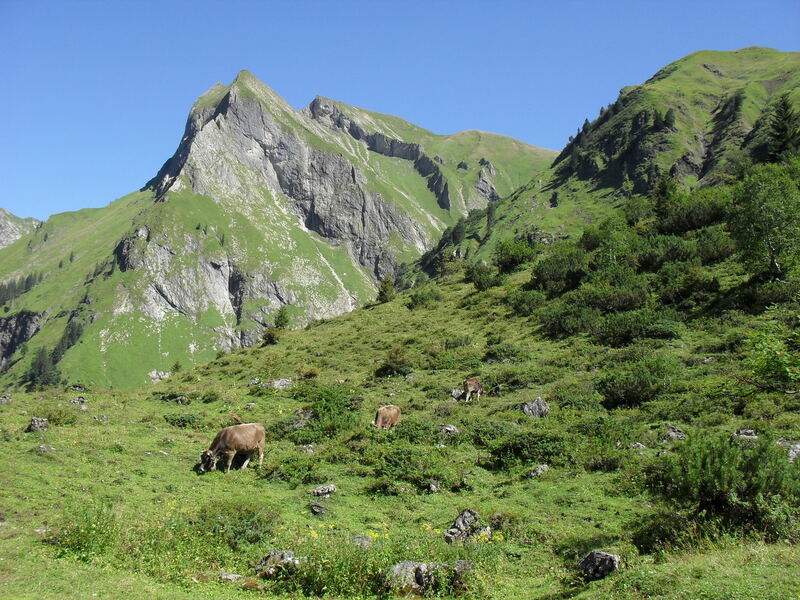 The young stock pastures are located at various altitudes. The young cattle often remain near the lowest hut for one or two weeks. They then move on to the second hut, followed in some cases by a third hut in high summer. This will be at the highest altitude of about 2,000 m above sea level. 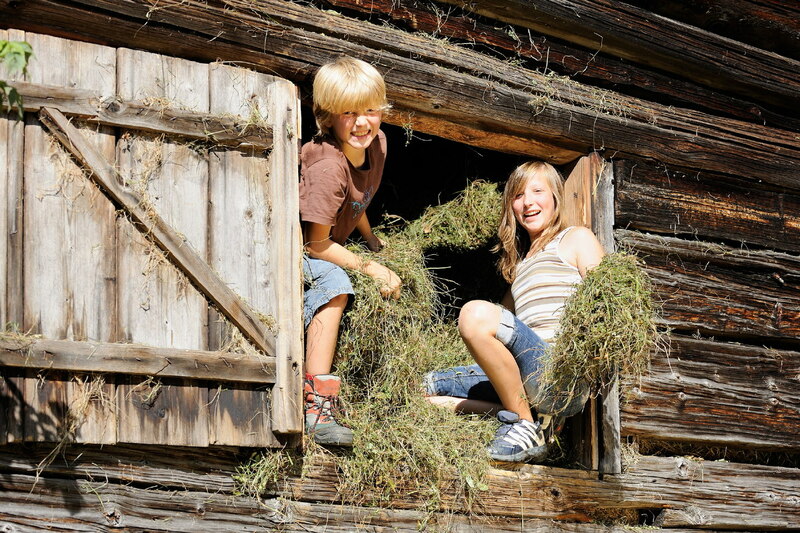 There are no roads or paved routes to these pastures; the farmers must carry any necessary belongings and food themselves. 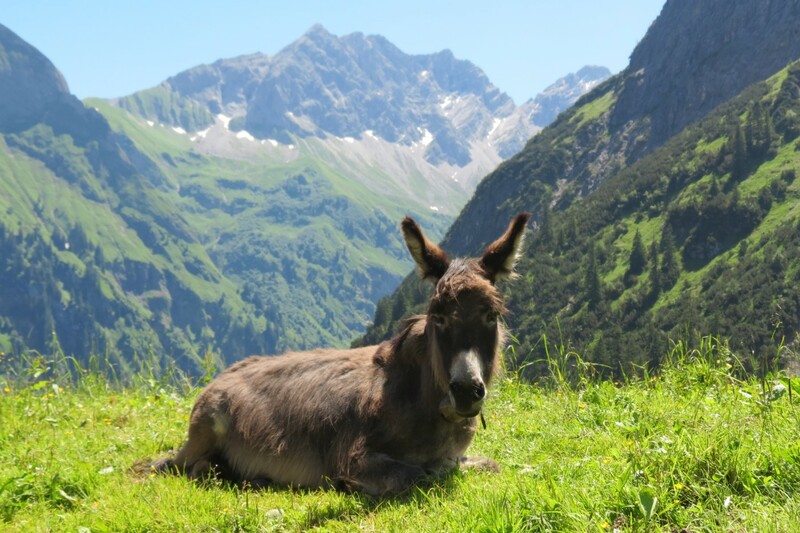 As a result, the herds of cattle are often accompanied by donkeys, which are used as packhorses. 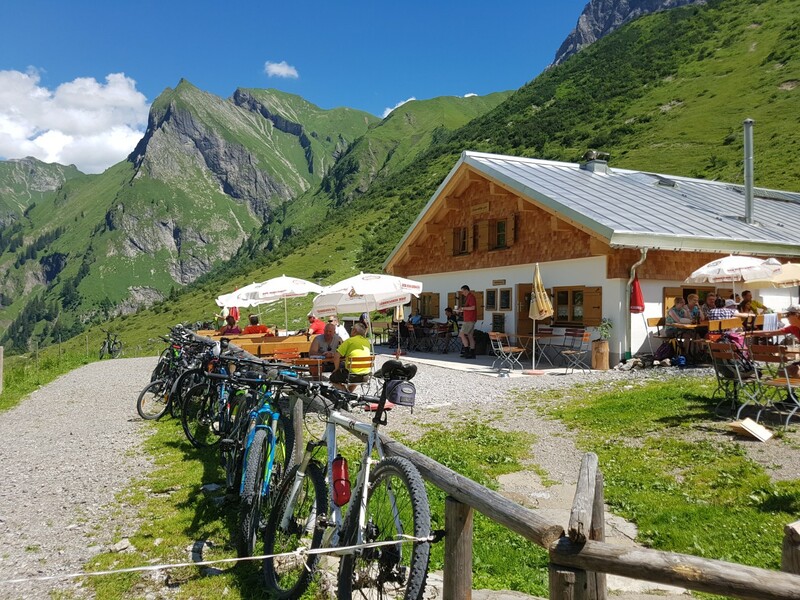 Unexpected snowfall in high summer is a frequent phenomenon in the Allgäu Alps. This change in weather can sometimes be dangerous for the animals. Constant rain softens the ground so the cattle can no longer find a firm footing. Additional aids become necessary. 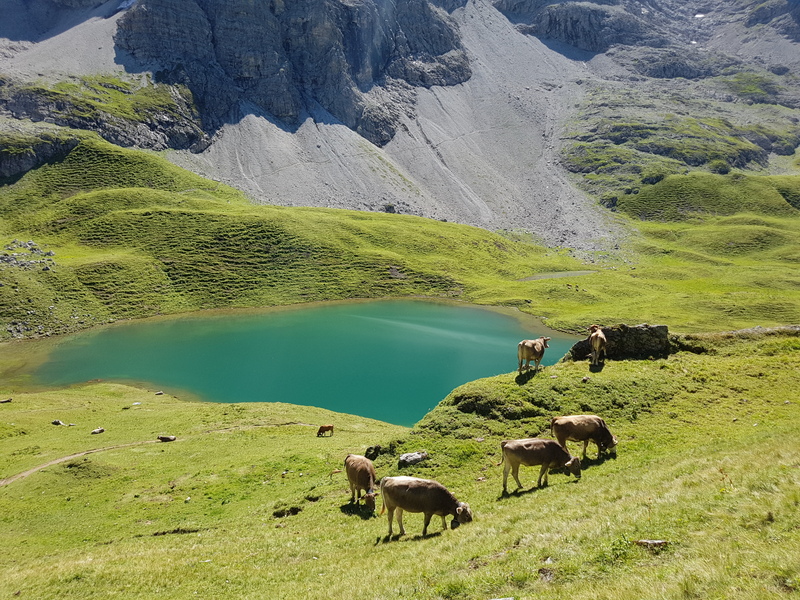 The Alpine summer traditionally ends with the “Viehscheid” cattle drive when the young cattle are driven back down into the valley from the young stock pastures. 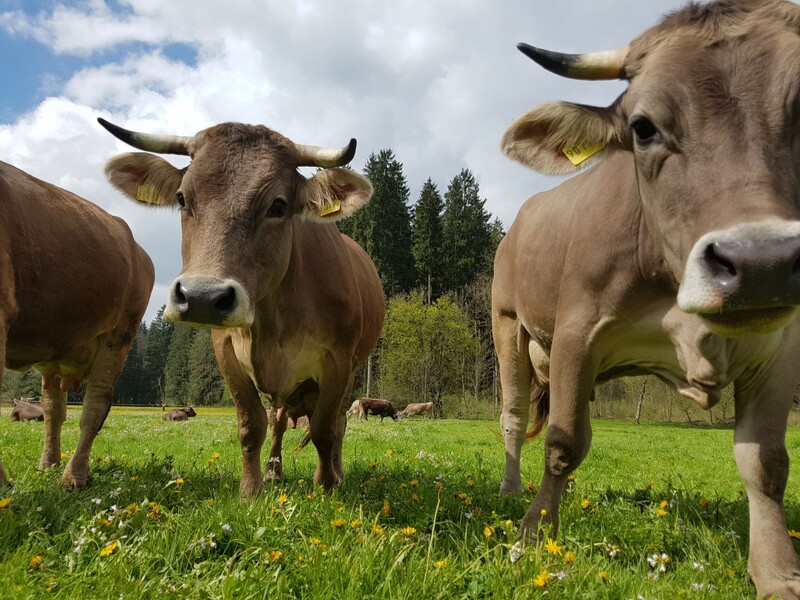 On reaching the “Scheidplatz” (literally “dividing place”), the herd is divided up and owners can guide their young cattle back to their stalls. The cattle drives on 12 / 09 and 13 / 09 are a long-standing tradition.